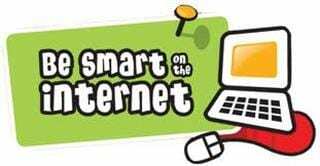 This page is designed to give advice to parents and carers on helping your child stay safe online. At Springwell we are committed to protecting our children, both in and out of school. It is important that we educate the children about how to stay safe in all environments including when they are online using the internet. What can you do as a parent or carer to keep your child safe online? Helping your child to stay safe online is just an extension of parenting in the real world. You need to understand what your child is doing and what the risks are so you can help them navigate a safe path through the virtual world. Be involved in your child’s online life. For many of today’s young people there is no line between the online and offline worlds. Young people use the internet to socialise and grow and, just as you guide and support them offline, you should be there for them online too. Talk to them about what they’re doing, if they know you understand they are more likely to approach you if they need support. Watch Thinkuknow films to learn more. The Thinkuknow programme has films and advice for children from five all the way to 16. Your child may have seen these at school, but they can also be a good tool for you to find out more about what young people do online and some of the potential risks. Keep up-to-date with your child’s development online. Be inquisitive and interested in the new gadgets and sites that your child is using. It’s important that as your child learns more, so do you. Set boundaries in the online world just as you would in the real world. Think about what they might see, what they share, who they talk to and how long they spend online. It is important to continue to discuss boundaries so that they evolve as your child’s use of technology does. Know what connects to the internet and how. Nowadays even the TV connects to the internet. Your child will use all sorts of devices and gadgets; make sure you’re aware of which ones can connect to the internet, such as their phone or games console. Also, find out how they are accessing the internet – is it your connection or a neighbour’s Wifi? This will affect whether your safety settings are being applied. Consider the use of parental controls on devices that link to the internet, such as the TV, laptops, computers, games consoles and mobile phones. Parental controls are not just about locking and blocking, they are a tool to help you set appropriate boundaries as your child grows and develops. They are not the answer to your child’s online safety, but they are a good start and are not as difficult to install as you might think. Service providers are working hard to make them simple, effective and user friendly. Emphasise that not everyone is who they say they are. Make sure your child knows never to meet up with someone they only know online. People might not always be who they say they are. Make sure your child understands that they should never meet up with anyone they only know online without taking a trusted adult with them. Know what to do if something goes wrong. Just as in the offline world, you want to help your child when they need it. Therefore, it is important to know when and how to report any problem. ThinkUKnow – 11-16 site Why not explore this site with your child? Watch the videos together and discuss them. This simple guide has been produced by the Counselling Directory to help you understand the importance of online safety. Click the image to visit the website. A Newsround special programme all about staying safe on the internet. The show, which is voiced by David Tennant, tells the story of a girl called Lonely Princess, who gets into danger after meeting someone in a chatroom. It also has lots of tips on how to be safe, and case studies of children with real-life experiences of how things can go wrong. Caught in the web – Online Bullying This clip shows how by taking someone’s mobile phone, which is preloaded with passwords, people can get hold of your details and use them to send messages in your name. Block Bullying Online General cyberbullying video from Newsround, short and impactful. Shows how name calling can affect the recipient but also how they can report it. Consequences About a young man becoming an online abuser. He befriends a young girl, finds out all of her personal details, follows her and then asks for photos. Focus on reporting problems. Where’s Klaus? A clip developed to encourage parents to make the internet secure for their children, so that they can enjoy using it. Thank you Holly, that’s really nice to hear. Have a great Easter break.